Ever heard of Orphan pages? 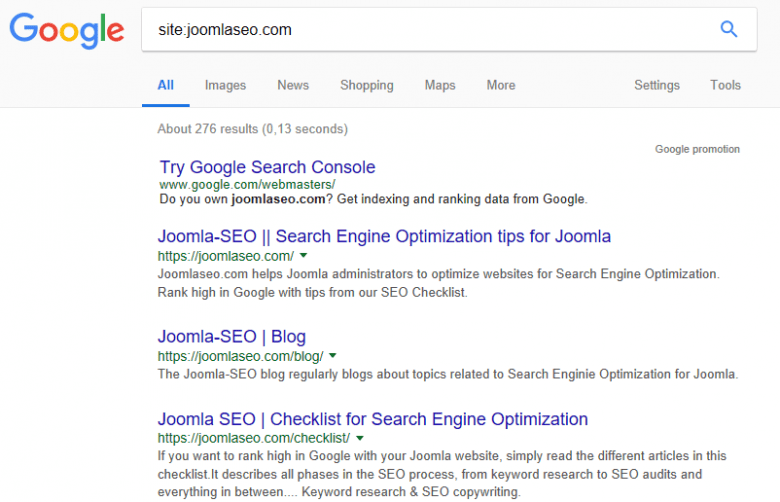 These are pages that are outside the navigation paths of your site but that are still reachable on your site by extensive crawlers (like Google....). Often you may not even know that they are there, but they can seriously harm your SEO efforts. Make sure you are aware of this risk. First of all: having orphan pages in your site in itself is not necessarily bad, as long as you are aware and mitigate any risks in your workflow. You may think this article won't effect you, but I'm pretty sure it does. Just let me give you some examples, and then look at your site again.... Almost every site has at least a few of these pages, but this is usually not that much of a worry. However, some sites have loads of them, and then you may have issues. If you have articles or categories published in the backend, but you do not provide a menu-item to show these, they will definitely have a URL. Google will sooner or later find them and index them. However, if the article is not worth showcasing in the menustructure, they apparently are not very important to you. So why would they be of interest for Google? Only publish valuable content and always make the content reachable, either as an individual article menu link, or in a blog- or list-overview. Many sites use articles for the sake of using them to publish in module positions. This can be done using extensions like Articles Anywhere by Regularlabs or other extensions / tricks. As an example, many site owners may have an article in a module position for end-users that only have access to articles, without the complicated module-administration. Now they can easily change the module's content by changing the article. But again, even though the article is "published" in a module position, it is also owning a URL of it's own. Again a URL that may be indexed by Google. I see many, many sites that have this issue. Similarly, you may have an article-slider, showing articles from a category. Same issue here. Joomla will often generate a number of pages due to the nature of the CMS. There will always be a frontend login-page, a page to reset your password, a search page, etcetera. Even if you did not set these up specifically, they will simply be there. Badly coded image-sliders may create individual URL's for every image in the slider. These individual URL's may again be indexed. If you notice this, simply look for a better slider. While the other issues in this list can be solved, for these sliders, there is hardly a solution. The big problem with all these situations is that the URL's Google has indexed for your site is heavily polluted with either duplicated blocks of content or with pages with hardly any real content (so-called thin-content pages). In this case, it turned out to be HTML page generated by a slider extension. The site contains hundres of them, while there were only a few dozen "real" pages. Just check the same for your site and compare the search results with what you would expect to see. You can also easily export the list for further investigation. You see, the solution is really easy. You can simply keep using building your sites the way you did, as long as you are aware what can happen. Also, make sure that your sitemap excludes pages with a Noindex tag. Otherwise you are giving Google conflicting instructions. Most situations with orphan pages are caused by this type of set-up and can easly be fixed. There are always other situations that require alternative solutions. One more frequent example: even if you have not configured the front-end sign-in page, it will be there. Just type in http://example.com/index.php?option=com_users&view=login for your site. Often this page is indexed by Google. To remove it, create a menu-item of type Login and set it Noindex. You see, there are lot of possible issues, but most can be solved quite easily. So, check your site and see if you improve your SEO in a few simple steps!